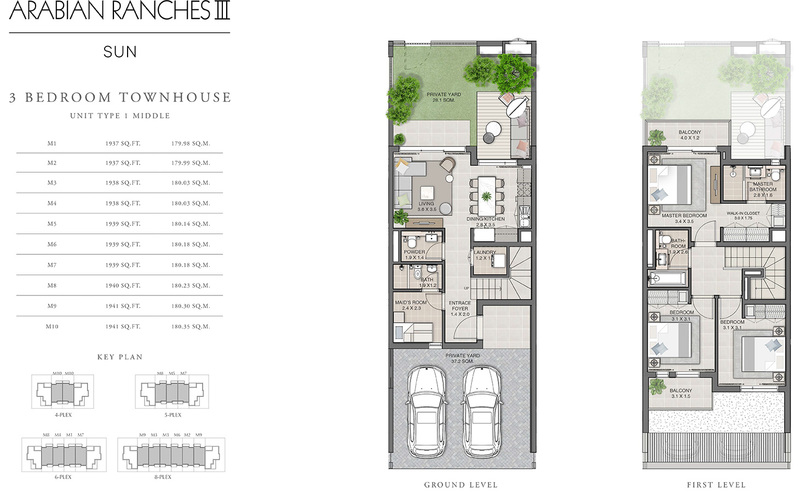 Sun townhouses have new attractive urban architecture in Arabian Ranches residential community with 3 and 4 bedroom Townhouses. 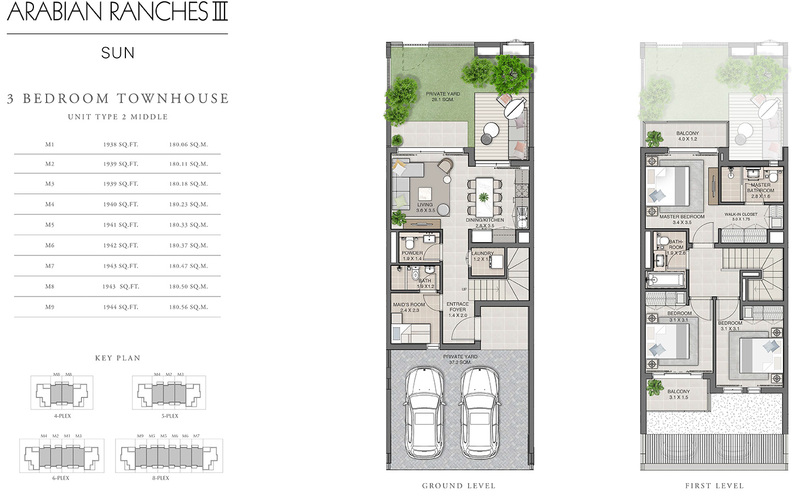 Each townhouse has large and beautiful lobby where resident can spend their quality time with family. 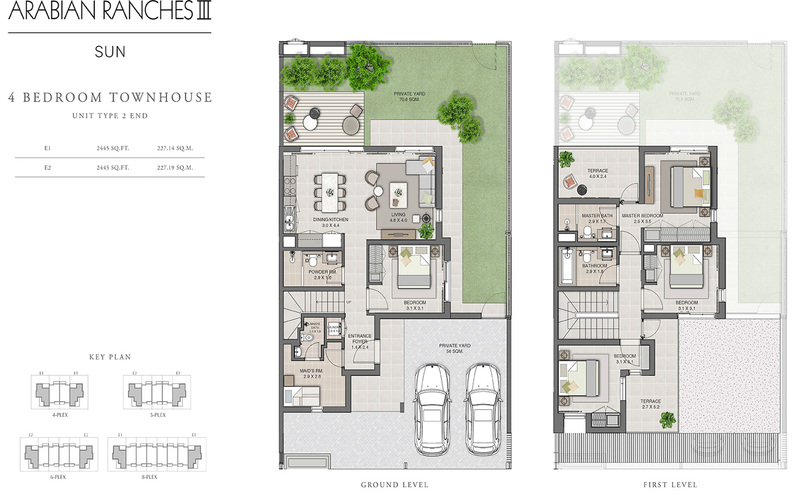 It has two different types of floor plan type-1 and type -2 which includes a choice of desert themed townhouses where the façade earth tone colors are contrasted with the crisp white paint. Residents will choose a modern abode with a unique collage of whites and greys where the style is in agreement with the verdant street landscape.